Help us spread the word on the Cooperstown For Kids travel site -- please tell your friends and family! Subscribe to Cooperstown For Kids Blog News Updates instead of just visiting it! Gas prices and general inflation got you down? Maximize your hard-earned money by following these money-saving Cooperstown vacation tips. 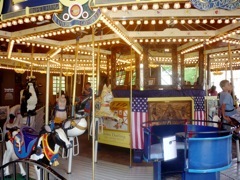 Read about the latest family attractions events in the Cooperstown area, including news from the National Baseball Hall of Fame, The Farmers' Museum, and Fenimore Art Museum. Howe Caverns in Cobleskill, NY, features an 80-minute tour of a living, limestone cave, carved by an underground river over the course of millions of years, located 156-feet below the earth's surface! Cooperstown is truly a great American travel destination, but did you know that many of the surrounding towns offer endless scenic beauty and many family-oriented attractions? 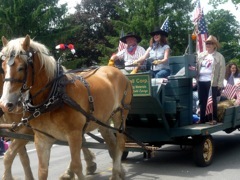 Read all about visiting "Otsego County and just beyond!" Parents need their own special time together, too. read about why Cooperstown can be a special getaway for Mom and Dad! These original kids bedtime stories feature lots of laughs while giving your family a detailed tour of Cooperstown through Goldilock's adventures! Cooperstown family travel and classic baseball videos can be viewed on every page of this site (after each article, excluding the homepage)! 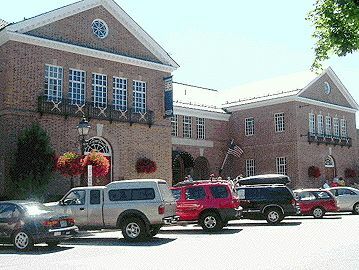 We'd love to hear about your positive experience(s) in regards to visiting the National Baseball Hall of Fame and Museum in Cooperstown, NY. Whether it's just a few sentences, paragraphs or a full length story, just write in the text box below and then press "Send." Once we review your feedback, we'll notify you by e-mail if your submission has been accepted. Thanks! * Your email address will never be sold, rented or used for any other purpose than receiving your feedback on the National Baseball Hall of Fame and Museum. Featuring Cooperstown travel videos and classic baseball clips to get you in the Cooperstown spirit! All videos are rated G for the whole family to enjoy! Comparing rates, checking availability and booking online for your Cooperstown vacation is a breeze with an easy-to-read interface. From the quaint to the modern, a memorable hotel in Cooperstown and the surrounding Otsego Lake towns, villages and cities awaits you! Information from CooperstownForKids.com comes from our editorial staff. Advertisements do not influence the articles and points-of-view on CooperstownForKids.com, unless otherwise specified. We recommend calling your Cooperstown vacation destination first before setting out on the planned itinerary, as information listed on this site is subject to change. 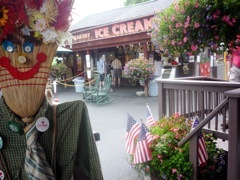 Cooperstown for Kids is a division of VisitingCooperstown.com and VisitingNewEngland.com.